The hype for NBA 2K18 is in full effect amongst sports fans and gamers, with the scheduled release for the video game juggernaut less than one week away. 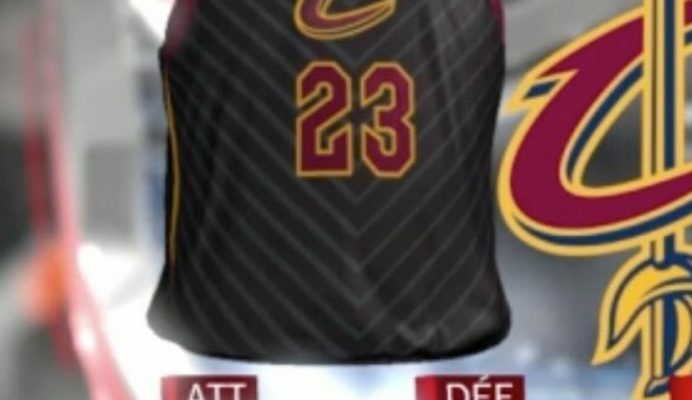 On Wednesday, visuals were leaked from the game that showed designs for all 30 NBA teams’ alternate uniforms for the 2017-18 season. The Cleveland Cavaliers will have Goodyear as a sponsor on their jerseys this season. It’s only a matter of time before NBA fans get to see these jerseys in person, as the regular season is just one month away. NBA 2K18 will hit stores nationwide on Sept. 19 for both Xbox One and PlayStation 4 users.